A 3D modelling program of your choice, to make the armour itself. For armours that are meant for people in Skyrim, there are basically four meshes you’ll need to make: the female 0 weight mesh, the female 1 weight mesh, the male 0 weight mesh and the male 1 weight mesh. The reason for the 0 and 1 meshes is so that Skyrim can interpolate between them. Say your character is weight 0.5, then the armour should be the average between the 0 and 1 mesh. This way it’s a smooth transition rather than an awkward jump. 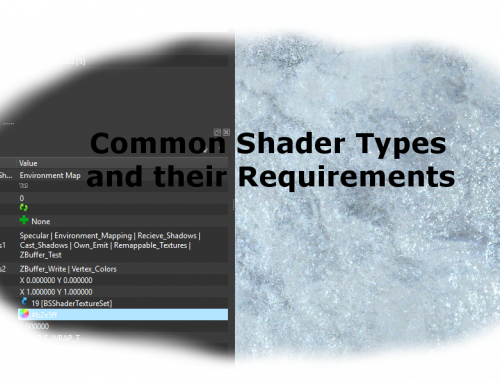 Luckily these meshes are relatively similar, so you won’t need to do everything all over again. In order to make sure the armour appears right on the body, you’ll need to first import a vanilla body mesh. For Skyrim Special Edition, these can be found in its Meshes0.bsa, which you’ll need to unpack using something like Bethesda Archive Extractor. 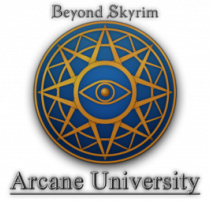 For Skyrim, they will be in Meshes.bsa. Within that bsa, within the meshes\actors\character\character assets\ folder, you’ll find femalebody_0.nif, femalebody_1.nif, malebody_0.nif and malebody_1.nif, providing you those vanilla body meshes. 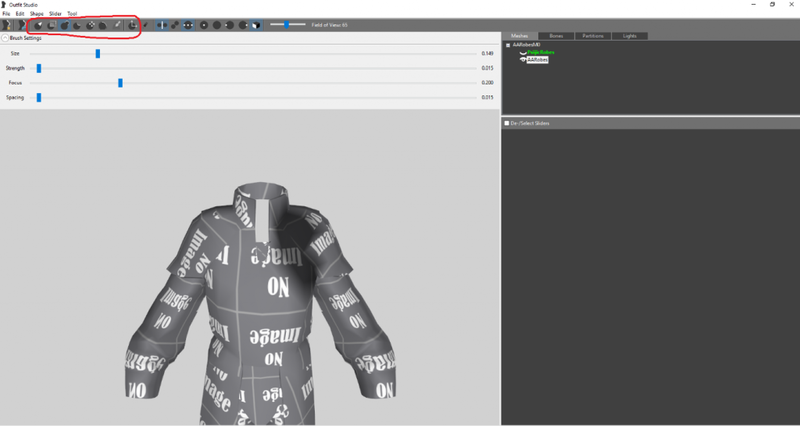 In order to get it into your 3D modelling program, you’re going to use Outfit Studio to convert the nif (the mesh format Skyrim uses) to an obj, which is a format for meshes that almost any 3D program can open. 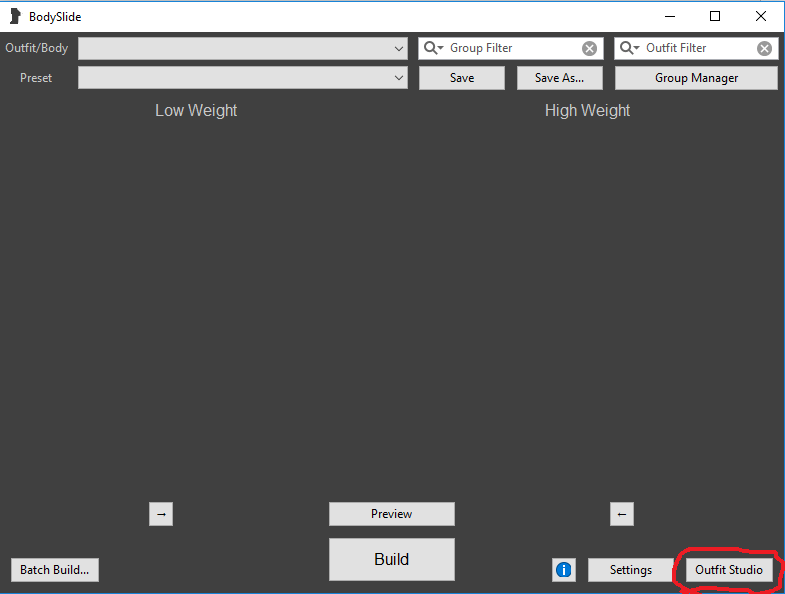 -Import the vanilla body you want to make armour for into Outfit Studio, either via File > Import > From Nif… or by dragging the nif file from file explorer onto Outfit Studio’s window. The same procedure can also be used to export any other nif, even non-armour ones, as an obj. You can now model your amour. 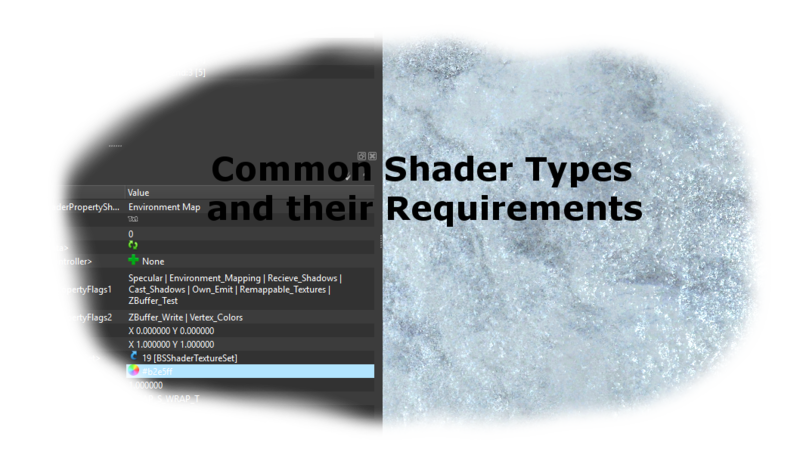 How to do this is not covered in this tutorial, nor how to generate a normal map, as this is not specific to Skyrim. -Find a vanilla armour closest to your armour. You can do the same process as with the vanilla body if you’re not sure how close it is. -Start up Outfit Studio again, and set this closest armour to be the reference via File > Load Reference… > From File . If the vanilla armour has multiple shapes here (such as exposed skin), make sure you pick the armour one. 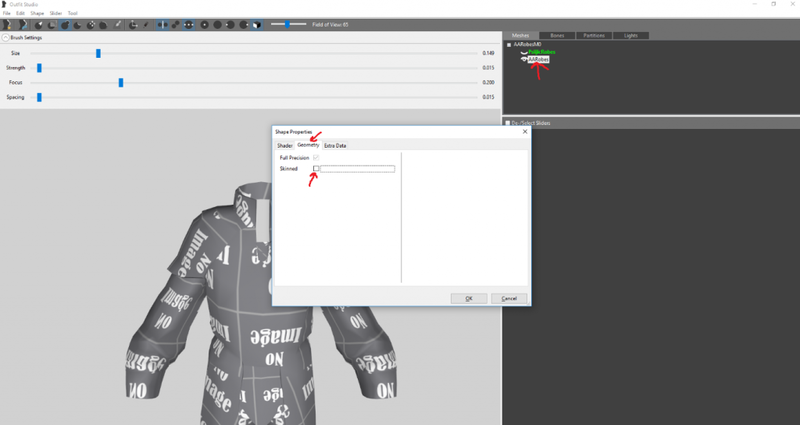 -Now you import your armour’s obj, either by dragging it onto Outfit Studio’s window or via File > Import > From OBJ… It won’t have any textures, but that’s okay because it can be added later via NifSkope. -If you’re lucky, you can now export it to a nif via File > Export > To NIF… If this is the case, you can jump straight to the Fix Up section. However, if it gives you the message “At least one vertex does not have any weighting assigned to it. This will cause issues and you should fix it using the weight brush. The affected vertices have been put under a mask. Do you want to save anyway?”, then you’ll have to change some things. 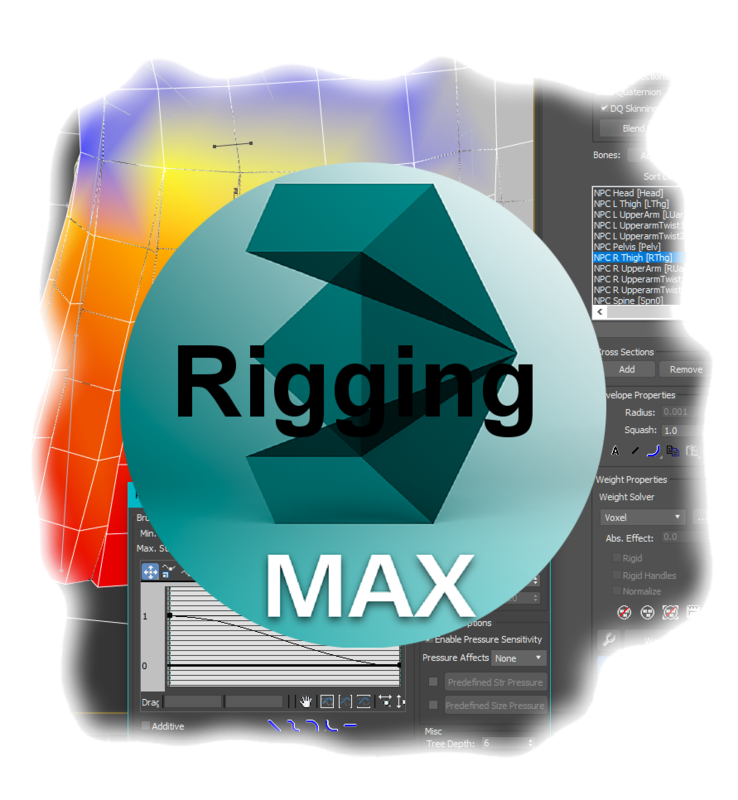 -The vertices without weighting have been put under a mask, meaning you can’t alter them. This is the opposite of what you want. So you can either clear the mask via Ctr+A or Tool > Clear Mask, or you can invert the mask via Ctrl+I or Tool > Invert Mask. The weight is a measure of how much influence a bone has on that vertex. 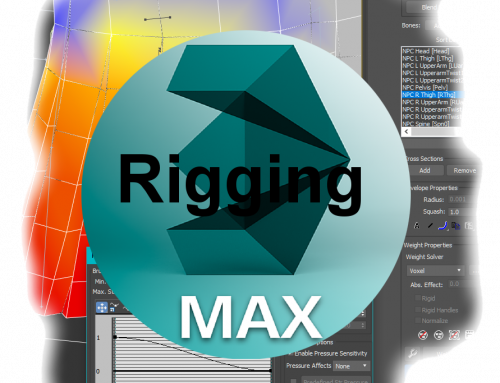 What you do with weight painting is heightening or lowering that value. Now, manual weight painting in OS is done by going to the “bones” tab and selecting a bone. You’ll then see some colours on your selected mesh, with the hue indicating how strong the weight is. This goes from blue to red, with intense red being the highest weight and dark blue being the lowest (except for 0, which doesn’t show any colour). With your bone selected, you can weight paint with the brush. You can adjust size, strength, focus and spacing of your brush by dropping down the Brush settings menu. Applying weight is done by clicking or moving the mouse around whilst holding it down, you can’t apply weight by holding it down and not moving. By default, the brush will increase the weight. You can instead make it decrease weight by holding down the “Alt” button. You could also make it so the brush, instead of adding, sets it to a specific level dependent on the strength by ticking the Fixed Weight Brush checkbox under the bones list. It’ll also give you an indicator of which vertex is closest to your brush, but this isn’t necessarily the only vertex being affected nor is it necessarily within your influence. You’re better of looking at the red circle. Because weighting is only done on vertices, if there is no vertex within your circle you’re not actually doing anything. If you’re doing a normal armour, you’ll only need to fix up the textures in NifSkope with the BSShaderTextureSet. -Open the resulting nif with NifSkope. -Find the BSDismemberSkinInstance of your shape. Select it. -In the Block Details section, within Partition > Partition, make sure the Body Part is set to be the same as that of a similar mesh. For example, necklaces need to have SBP_35_AMULET. 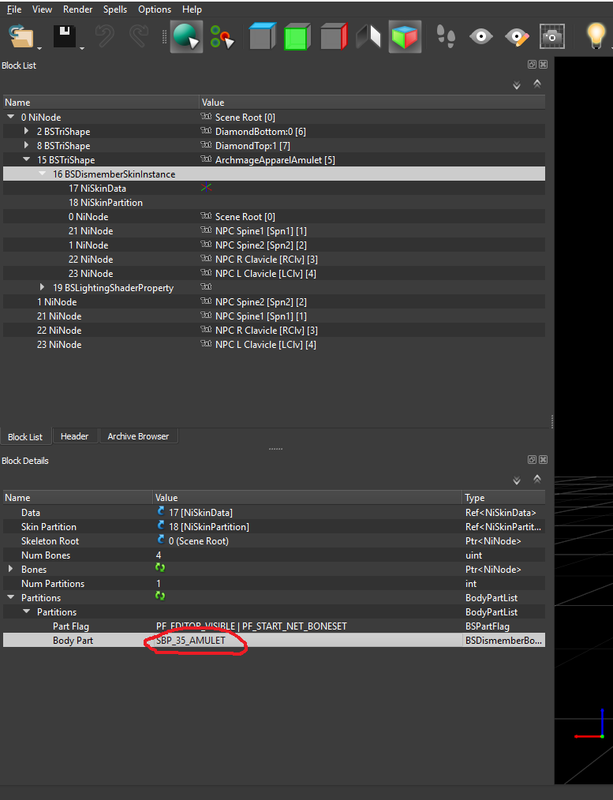 You can also look at this page: http://wiki.tesnexus.com/index.php/Skyrim_bodyparts_number, but the best example is always a similar mesh. Note: The node before doesn’t need to be a BSTriShape, it could be also be something else. The reason this was done is so Skyrim knows what item can and can’t be worn at the same time. If the body part on your mesh and the ones on your armour/armour addon don’t match, it will not display in-game, even though you’re wearing it. The 0 and 1 meshes must be exactly the same, except for vertex position. If not, you won’t have a smooth transition between the two. Female and male versions can be completely different however. There are two ways to do this. The most straightforward way is to make sure you do everything the exact same way every time. Exporting the resulting armour after deleting the body should result in something that is definitely the same. Thank you very much for your attention. We try to improve and expand our tutorials whenever possible. Please give us your feedback! We wish you success and have fun!